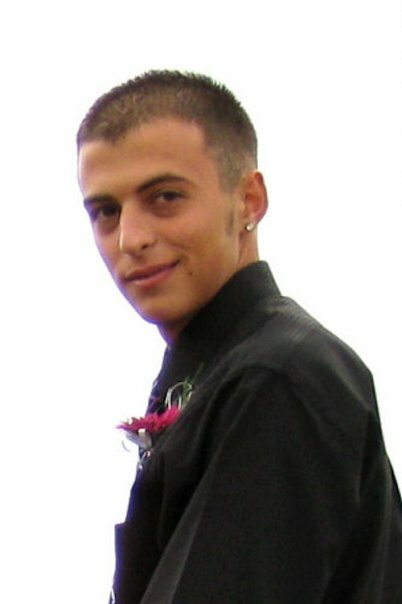 Beau Eric Greiner, 18, of Zanesville, died Tuesday, November 24, 2009 as a result of injuries sustained in an automobile accident. He was born April 29, 1991, in Zanesville, a son of Eric M. Greiner and Marie E. Bauserman Lewis. He was a senior at Foxfire High School. He was a part time employee in the Cash & Carry Department for Mattingly Foods. He was a member of the Immanuel United Church of Christ, ZARKS, American Motorcycle Association, and the American Model Association. He enjoyed sports, golf, racing go karts and dirt bikes and he loved his friends. Surviving are his father, Eric M. (Mandy) Greiner of Fisherville, Kentucky; his mother, Marie E. (Joe) Lewis of Zanesville; three sisters, Meghan Greiner of Columbus, Kaylee Mohler and Gracie Lewis, both of Zanesville; three step sisters, Brittany and Alyssa Lewis, both of Zanesville and Lauren Elick of Bremen; a step brother, Joey Lewis of Zanesville; maternal grandparents, Elaine Bauserman and Russell (Gloria Fenton) Bauserman, all of Zanesville; paternal grandmother, Phyllis Greiner of Zanesville; adopted grandfather, Butch Geyer of Zanesville; step maternal grandparents, Joe (Janet) Lewis of Zanesville; two aunts, Lisa Scherf and Erin (Brad) Griffis, both of Columbus; four uncles, Cody (Stefanie Frie) Bauserman of Sallisaw, Oklahoma, Ryan Bauserman and Jeff (Lori) Greiner, both of Columbus and Shane Lewis of Jacksonville, Florida; and his girlfriend, Ashley Schaal of Dresden. He was preceded in death by his paternal grandfather, William Greiner; three brothers, Zachary Greiner, infant, Jacob Greiner and Camron Mohler; an uncle, Mark Greiner; an infant sister, Cheyenne Greiner; two aunts, Eileen Bauserman and Jodie Bleakney; and a great uncle, Daddy George Rittberger. Friends may call 2-4 & 6-8 p.m. Sunday, November 29, 2009 at Foxfire High School, 2805 Pinkerton Road, Zanesville and one hour prior to services at the church. Funeral services will be held at 11:00 a.m. Monday, November 30, 2009 at the Immanuel United Church of Christ, 105 S 7th St., Zanesville with Rev. Mitch Reed officiating. Burial will follow at Zanesville Memorial Park Cemetery. Bolin-Dierkes Funeral Home, 1271 Blue Ave., Zanesville is entrusted with all arrangements. All flower arrangements need to be delivered to Foxfire High School after 12:30 p.m. Sunday, November 29, 2009.